Artistic, Rhythmic, Trampoline & Tumbling, Crossfit, Cheerleading, Acro, and the list goes on… What is the difference inall these programs? And which one do I want? 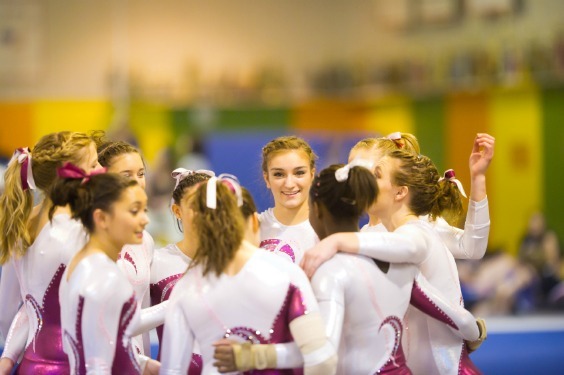 You may be searching on the Gymnastics Gym Directory and wondering what programs you want! It can be confusing also when you see things like the Xcel Program, and TOPS, and you are wondering how these are different from the traditional Artistic Gymnastics Levels. I’m here to break it down for you. 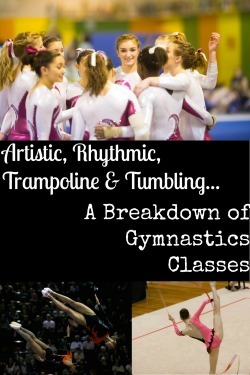 Gymnastics has evolved over time and now has 4 major disciplines- Artistic, Rhythmic, Acro and Trampoline & Tumbling. In addition to these disciplines, some gymnastics gyms now also offer extra programs like crossfit and cheerleading. Some gyms offer classes geared to all these disciplines, some gyms have programs geared towards one or two disciplines and some gyms focus on one. Let’s get into what all these disciplines are. Artistic gymnastics is what most people think of when they think of gymnastics, what most gymnastics gyms concentrate on, and what I mostly talk about here on Gymnastics HQ. Artistic gymnastics has both men’s and women’s divisions. The women’s events are Vault, Uneven Bars, Balance Beam and Floor Exercise. Most gymnastics gyms focus on artistic gymnastics; both high school gymnastics and AAU gymnastics are artistic also. If the gym doesn’t make a distinction, then the classes are probably artistic gymnastics classes. Artistic gymnastics has both optional and compulsory levels. In addition to the traditional gymnastics levels, there is a completely separate Xcel Program with it’s own levels. For gymnasts that have a special ability and potential the TOPs Program might be an option. Only women compete in rhythmic gymnastics. Rhythmic gymnastics combines elements of ballet and dance with acrobatics. Rhythmic gymnasts perform five separate routines each involving a separate apparatus. The five events are ball, ribbon, hoops, club and rope. It can be a little harder to find gymnastics gyms that teach rhythmic gymnastics (this is a link to the ones listed in the gymnastics gym directory). Trampoline & Tumbling, or “T&T” , was added to the Olympics in 2000. Even though it is a relatively new sport at the Olympic Games, T&T has been growing rapidly. The second most number of gymnasts compete T&T behind the most popular discipline, artistic gymnastics. T&T consists of four events: individual and synchronized trampoline, double mini trampoline and power tumbling. The trampolines used in T&T are way more powerful than your typical backyard trampolines. Gymnasts bounce as high as 30 feet in the air during trampoline routines! Sound like fun? Here is the search result for Trampoline & Tumbling gyms in the US. 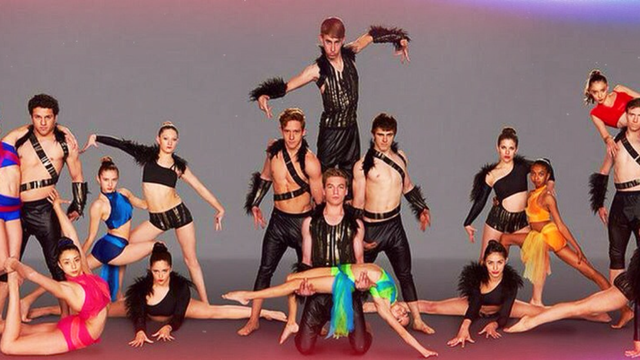 The Acro Army is a group of acro gymnasts that performed on America’s Got Talent. Acro is a group discipline for both men and women. Acrobats perform in groups of two, three, or four using the heads, hands and feet of their partners. They perform on the same spring floor that is used by artistic gymnasts. Of the more than 100,000 competing gymnasts in the US less than 1% compete in acro gymnastics. Once your child starts walking, they can start gymnastics in a parent & tot class. This is a perfect way for them to start learning balance and coordination with you by their side! Gymnastics gyms are a perfect place to learn because the floors are padded and there are plenty of learning tools like special mats, trampolines and foam pits. Crossfit is a craze that seems to be sweeping the nation. It’s a physical fitness program that aims to increase your strength, flexibilty, endurance and coordination. It combines elements of weight lifting, gymnastics and aerobic exercise. Crossfit is mostly for teenagers and adults. Some gymnastics gyms offer crossfit (this is a link to the ones listed in the gymnastics gym directory) so that parents can work out while their kids learn gymnastics!